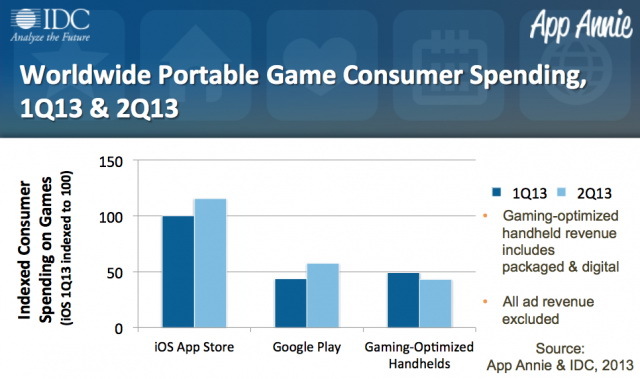 For readers who are curious about the status of game spending in the portable gaming market, here’s some interesting information from the latest Portable Gaming Spotlight report from App Annie and International Data Corporation (IDC). 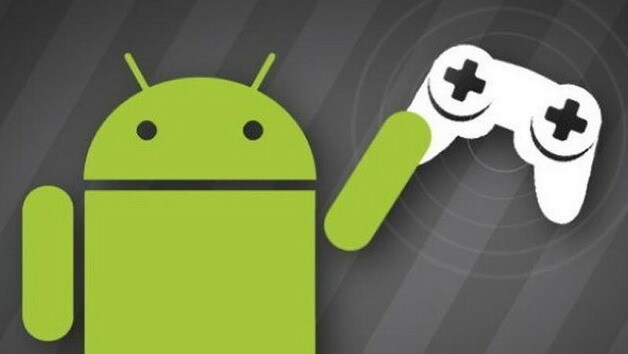 The App Store still continues to maintain its lead in consumer spending on games, while gaming optimized handhelds particularly the Nintendo 3DS, and Sony PlayStation (Portable and Vita) faced a surprise slowdown, having been marginally overtaken by spendings on the Google Play Store. There’s more good news for Google as game sales have also indicated an upward trend, rising quite significantly in the second quarter compared to the first. Unlike Europe which spearheaded the gaming-optimized handhelds revenue share, Google Play Store revenue still seems to be driven from Asian markets particularly Japan & South Korea. Nintendo 3DS appears to be the more popular handheld in terms of money spent on packaged game shipments and digitally purchased copies. Puzzles & Dragons, Candy Crush Saga, Windrunner for Kakao, Cookie Run for Kakao, and (Fives) 2013 for Kakao are the top grossing Google Play games in 2Q13 with 4 out of 5 games topping the Japanese and South Korean Play Stores. While it remains to be seen whether Google Play will continue to see the sustained growth in the next quarter, it may not be wrong to presume that Google’s gaming strategies such as the expansion of the Play Store to more markets worldwide and providing game developers with a platform (Play Services) to integrate cloud saving and multiplayer functionalities are starting to show results. You can get more statistics and information on consumer shifts in portable gaming spends by downloading the Portable Gaming Spotlight report here.